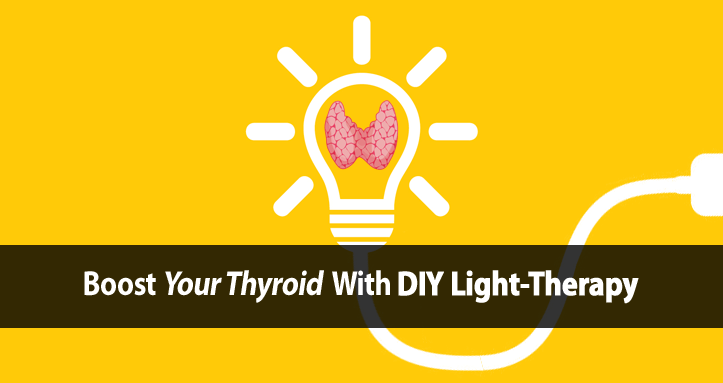 Would you have ever thought that you can improve your thyroid health with nothing more than light? Well, here at Forefront Health we like to practice what we preach. So, as I write this I’m sitting in front of my own homemade thyroid light-therapy lamp. It’s the same exact light therapy lamp that I’m going to share with you in just a minute. It’s the one I’ve been recommending to clients for the past few years. And it costs less than $25, which should be an affordable invest for almost anyone. In fact, it might be one of the cheapest investments you can make in your health. So, I hope you use it and take advantage of the therapeutic benefits it can provide you. 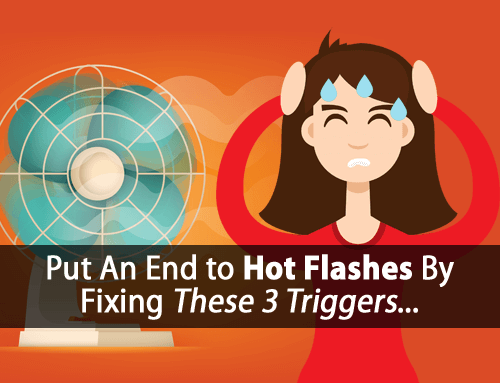 In Part 1 of this post on “How to Get Off Your Thyroid Medication Using Light Therapy”, I talked about how “low level laser (light) therapy” (LLLT) is being used to effectively treat hypothyroidism. 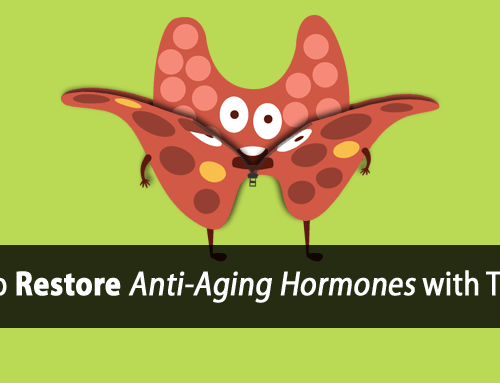 And it’s helping people restore healthy thyroid hormone levels without the need for thyroid medication by activating an important enzyme called “cytochrome c oxidase”. The LLLT devices used today for this thyroid light therapy involve the use of expensive lasers that can cost on the order of thousands of dollars. And while LED (light emitting diode) technology can also be used in a similar fashion, these devices can cost on the order of hundreds to thousands of dollars. Plus they require precise specifications to match what is achieved with lasers. This is why it’s often better to recommend something simpler and more cost-effective that anyone can use while still providing significant therapeutic results. And that’s what I’ll be sharing with you in just a second. But before I do, I want to answer a common question I’ve been getting because odds are you might have asked wondered the same thing. Can You Use More Sunlight In Place of Light Therapy? The short answer is, not exactly. While getting adequate sunlight is important and has been shown to have numerous therapeutic effects… light therapy is different. With LLLT or light therapy in general, we are focusing on specific parts of the light spectrum that are well researched and known to improve thyroid function and metabolism. Sunlight itself is full spectrum, meaning that it contains larger amounts of damaging UV and blue light than the therapeutic red and infrared light that we want. Sun probably provides 20-30 millwatts/sq centimeter of near infrared….so it’s beneficial, but it’s not nearly as powerful as the LEDs [and lasers]… To get the correct dosage from the sun, you’d need to worry about UV exposure, and it would be better if you were on a higher altitude. So, yes… you need to get plenty of sunlight. However, light therapy allows us to achieve greater therapeutic effects by using higher concentrations of therapeutic light that contains far less concentrated damaging light. Notice how sunlight contains a much higher percentage of UV and blue light than it does in the therapeutic spectrum noted by the black box between 600 to 900 nm wavelength. As you can see from the graph above, we can achieve a fairly good balance of therapeutic light from the use of incandescent bulbs. While the concentration of therapeutic light isn’t necessarily large, it contains very little damaging light. So, even in smaller concentrations the use of higher power incandescent light bulbs can be used to achieve some degree of these same therapeutic benefits as LLLT. With that being said, there’s a problem that we’ve run into with the use of incandescent bulbs. Governments are working to phase-out incandescent bulbs in an effort to promote other energy-efficient alternative bulbs. This is making incandescent bulbs more and more difficult to find. While today they have been largely banned for use with general lighting, we can still get them in other forms such as “heat lamps”. While Russian researchers recommend 2000 watts to 3000 watts of incandescent light, this is difficult to achieve with heat lamps. For comparison purposes, the recommended lamp below uses a 250 watt bulb which would require on the order 8 to 12 bulbs to achieve the same power output. However, the heat production would be rather extreme. So, while a single lamp will provide some benefit, using two or three of them will provide more and be extremely beneficial during the winter when we have the least exposure to light. To build this light therapy lamp you need two parts, the incandescent bulb and the lamp reflector to house the bulb. It’s also worth noting that we use a 130 volt incandescent bulb, which when run at 120 volts is known to provide a higher concentration of therapeutic light and produce less heat. The most important part of light therapy is to make sure the light is getting exposed directly to your skin. The more skin exposure the better. 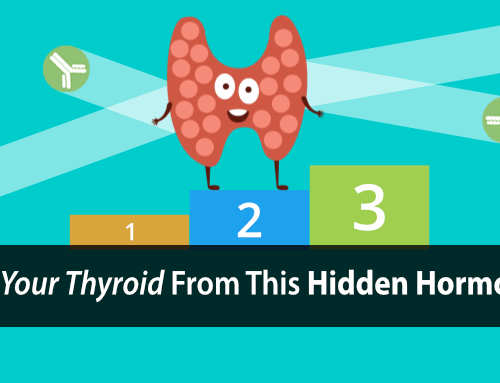 For general use, it’s recommended that you get plenty of exposure to both your neck (thyroid) and chest (thymus). Or it can be used directly on other parts of the body such as arthritic joints to help relieve pain, or the scalp to help stimulate hair regrowth. Place the lamp(s) 2 to 3 feet away. Start slowly with 5 to 10 minutes per day and increase your exposure over time. Try building up to 30 to 60 minutes per session. You can also use the lamp multiple times daily, and at different times of the day. For example, some clients report improved sleep when using it before bed. Are You Ready for Light Therapy? Just like using thyroid hormone, light therapy can be a double edged sword. This is something that I warn my clients about all the time. Anytime you stimulate metabolism, it increases the rate at which your body uses nutrients. If your diet is not adequate or you are deficient in certain vitamins then this can further deplete you and result in unwanted side effects. For example, light therapy will increase the rate at which your cells consume sugar. So ensuring that your blood sugar is adequate is extremely important. If not, it can further lower your blood sugar, activating your stress response. So, to be on the safe side don’t use light therapy on an empty stomach. At a minimum, at least have a piece of fruit. Or, if you want to get the most out of this light therapy, then use it together with our Ultimate Thyroid-Boosting Meal Plan. You can learn more about the UTB Meal Plan here. I’ve been looking locally for a far infrared sauna, the only one I can find is a cluster of lights hung over a cotton bed surrounded by a curtain. Ugh don’t really want to lay on other peoples and my own sweat! Why do you suggest the clear bulb instead of the red? Some have reported that the red bulbs give them headaches. You don’t mention that this light has to be installed by a professional electrician which adds up to much more than $20.00. It is NOT just a plug in lamp. It has to be wired in professionally according to the Amazon link you use. Ruth, it’s actually a corded lamp. You just plug it in. It does NOT require an electrician to be wired. As mentioned, these are items you can get at your local hardware store. I have a dual work lamp from Lowes that has two 500W halogens in it (1000W total ). What do you think of halogen as a light source? Already on a great stand. Definitely need to wear sunglasses under this thing. Thanks. If you take a look at the graph above in the article, it shows the light spectrum for halogen. It contains far less UV but still a lot of blue light. So, it’s not a great source for this purpose. A typical halogen worklight bulb is actually 3000k. I use worklights myself. They have a yellowish hue, so I don’t think there is much blue light at all. Hi Tom, so what do we do in Australia? Is it not possible to make or use here? You should be able to find similar bulbs in 220/240 volt. You just can’t use the bulb recommended in the article because of the difference in voltage. You said to start using lamp for 5 – 10 minutes initially and work your way up from there. What would the maximum amount of time be? I’m looking at the chart and am new at this. What color line in the chart is what the light bulb you suggest will give us? What is the wattage of the wavelengths you have along the bottom of your chart? I’m not following where the light you suggest falls in your chart. The recommended bulb is 2700 K incandescent so it will be somewhere between the green (2500 K) and blue (300K) lines on the graph. The graph doesn’t show wattage. Wattage is not associated with wavelength. This bulb emits a spectrum of wavelengths, not a single one. The y-axis shows the percentage of light emitted at the specific wavelength noted by the x-axis. I do most of my shopping through Amazon. Your link to Amazon was for a lamp that needed professional installation. Please send me a link for a corded lamp that meets your specifications. I really looked forward to learn how to build this lamp. But I am living in Norway and here we use 220 volt. Must I give up all hope? No, you just have to find a 250 watt, 220 volt incandescent bulb. When looking for 220V lamps I can only find them with a wattage of 250 or 375. The one you use only has a wattage of 130. Is 250W okay, or is it too high? The recommended bulb is 250 watts… and 130 volts, so I think you got the two mixed up. I have a sunbed which also has infrared option. Could that be used as well? And what if you just buy a standalone IR heating lamp like this one? Hi Jocelyn, It all depends on the type of bulb, light spectrum, and power. IR light is beneficial but ideally we want red to IR. I can’t speak for that specific lamp because it’s in Dutch. Yes, very much so because it still activates cytochrome c oxidase which is an important respiratory enzyme that increases energy production. I am in New Zealand so our voltage here is totally different to US. What about a Bioptron Light, will this do the same thing. I already use this on people for problems with muscles, chronic headaches, healing of open wounds, and people who have burns etc and it works. As you may be aware it also has different colours for different problems, the blue colour is used for the throat so was thinking maybe this could work for ones thyroid. I don’t have thyroid problems but my husband does. Blue light on the thyroid would have the opposite effect. In the article I talk about how blue light spectrum is bad for thyroid and metabolism and de-activates cytochrome c oxidase. Tom, what about the so-called Happy Lights, used to treat SAD, Seasonal Affective Disorder? Will this light therapy also help the thyroid? I have a Lightstim, http://www.lightstim.com/wrinkles/, for facial rejuvenation, would this work? If so, where would I place it? Hi Eileen, they don’t provide any real specifications on their website so it’s difficult to say. Typically the lights designed specifically for skin are useful only for the skin. So, there’s still therapeutic benefit for the skin and activating cytochrome c oxidase, but the specific wavelengths used are typically not ideal for use directly on the thyroid gland. Can one use the infra red lamp if it does not give you a head ache as stated above! Will you get the same benefit or not. I purchased my light but it is blinding bright. Is it necessary to wear sunglasses? Will the light therapy work if you have sunscreen on the exposed areas? You should not shine the line directly on the eyes. Wearing sunscreen would nullify the effects as it would prevent the light from penetrating the skin. What are your thoughts on the FIT Bodywrap system? That was suggest to me. What about 220 to 230 volt AC electricity used in most everywhere else in the world? Instructions for us? Hi Hexi, you just need to find a similar incandescent 250 Watt heat lamp bulb that is designed for 220 volt AC. Hi Tom, will white lights (without UV) that are used in the morning to help you with delayed sleeping disorder or seasonal effective disorder, etc. do the same trick? I have a Litebook (see https://www.litebook.com/why-litebook/our-research) for the range of wavelengths. Hi Jocelyn, unfortunately it’s not something that I would recommend. According to the research link, their light peaks in the blue spectrum which will actually have the opposite effect of what we are trying to achieve. We are trying to avoid UV and blues and get mainly red to infrared. I have the same question as another above, you recommend to start with the light 2-3 feet above you and for 5-10 minutes a session. When would the distance of the light change and how often should we increase the exposure? Up to what max time? Thanks! Hi Tom, I am 62, and have been on Armour Thyroid, currently 90 mg daily for 30 + years. I still have almost all the symptoms of hypothyroid, and am tired of feeling cold, tired, constipated, depressed, insomnia, thin hair, dry skin. My mother is hypothyroid, and my sister had thyroid cancer, and had hers removed. I also have been a vegetarian for many years, with the exception of taking Armour Thyroid. I have moved more towards becoming a vegan, because I love animals, and do not want to contribute to their suffering or death for spiritual reasons. I am going to try the light therapy and the diet. Do you think there is hope for me to one day not need thyroid medication while still being able to be a vegan? As mentioned in the article, we’re not using this lamp to replace or lower thyroid meds. It’s not as effective as the lasers used in the studies, but it’s a very inexpensive way to help stimulate cytochrome c oxidase. The lasers cost tens of thousands of dollars. Would a tanning bed work? I don’t understand the light spectrum requirements. But I know I have always felt so much better when tanning regularly. Hi Tom, I have just purchased a sauna blanket for this purpose as well as detoxing my body hopefully. But this looks and sounds very interesting and promising . But I don’t know where I would clamp the lamp or onto what to use. But still I may try it. But I say the light enclosure on the Amazon site that looked like a picture frame and said for health and mood. I think it said 10,000 led clear light. I have bad memory problems. I’ll have to go back to see the company name. But was wondering if you would recommend this or it it is a hoax or gimmick, it is of course more expensive. 134.00. Through Amazon on sale I think??? Is the light therapy you can get at Planet Fitness act the same? Thank you for all your time and effort helping us!!! I’ve been trying very hard to source a bulb here in Australia that will help me to build my own lamp. I am able to find an incandescent globe in 200watts and 275 watts, but 250 watts seems impossible, unless it’s a red one. I would just like your opinion on whether any of these will suit? Hi Sophia, the 275 Watt incandescent would be best. However, make sure that the lamp/reflector is rated for at least 275 Watts. Thank you for all this valuable information. Would the red heat lamp work just as well as the clear one if it does not give me a headache? Do you recommend the goggles one wears in tanning booths to protect the eyes? Would one of the products below work as well and if yes which one would be best? I believe they are led lights. There is one that is just red light and another that is red light plus infrared. Is it advantageous to get the one with infrared? Also, they have an amber one that works for spider veins which I would like to treat at the same time and was wondering if that would work for the thyroid as well or does it definitely have to be red light? And lastly, are these or the heat lamps dangerous for the eyes even with protective glasses? This site says this model is the only safe option….. The Thor low level lasers seem to be a good choice as well but not sure how expensive they are. Are these good? Any reason this wouldn’t be safe to do while pregnant? Hi Tara, not at all. Good morning, Tom! This is all new to me! I suffered YEARS of not being able to sleep thru the night. I identified with your explanation of the stress hormones being activated at night! I thought it was the stress from worrying about my Mom’s bad health, cuz that’s when this all started. Bought 3 different mattresses, hoping that would fix it. Then years latter, I begin having mental fog, memory lapses and I fear I have Alzheimers! So, go to my family MD, and he orders the blood test for thyroid and an MRI…bith were normal! So I research THYROID problems and see that I might be helped from simple Iodine! And it HAS helped. Now, I see I would benefit from the heat lamps. I am glad you have all these comments posted here fro people with your feed back! But I haven’t seen your reply to some (of which I am interested in hearing). The far infra red light therapy, the picture frame light at Amazon, and the Lightforce LED Therapy. I want the best light therapy! Thanx! Oh, I’ve been a licensed Massage Therapist since 1985 and like to be educated in all aspects of health therapies! Hi Imre, an incandescent bulb will work fine and would generally be recommended over the heat lamp, however they are phasing them out in the US due to energy efficiency laws and are extremely difficult to get. As long as you have a lamp/reflector that’s rated for 300W or better it should work out fine. Tom! thank you for all you do for us! its a bit pricier, but might be worth the investment – seems like a hardy choice which may produce less heat? Hi Becca, it’s not supposed to be legal to sell those, but it would be a good option. Keep in mind that you will need a lamp that can handle the 300 Watts per bulb. Hi Donna, 633nm would not penetrate well through the skin. For thyroid therapy they typically use something around 810-850nm. I’m looking to buy a clearlight infared sauna would this work for this? I’ve been using these for quite sometime as part of a detox program I was doing with another practitioner. I actually use 3, they easily clamp to bathroom cabinet doors, counters with an overhang etc. they are the same ones they use to warm eggs to hatch into chickens. I always get my supplies at mypetchicken.com. Reasonable prices, fast delivery….I’ve never shined them on my thyroid before, I used them for a full body sauna effect. I’ll have to try this. Can you give us a tip on how to make this work with 230 Volt AC. It would be grately appreciated, I’m sure. Hi Lena, you should be able to find the equivalent locally for 230V AC. You would just need to make sure the wattage is the same as the recommended bulb and lamp. Would this lamp work in place of the one you suggested? I’m pretty sure it is the same setup I have out in my coop for the chickens since it got cold, I’ll have to borrow it back from them, lol. I think we got the reflector and bulb from a feed store. Do infrared saunas do the same thing please? As long as the sauna isn’t too hot it should be OK. With the lamps, the light tends to be more concentrated. Hi Tom, heard anecdotal evidences that even red fabric curtains can help thyroid. What do you think – joke? Hi Nad, I don’t think it would make a difference. Dear Tom, This sounds totally do-able! I have heard that these heat lamps are also good for NEAR INFA RED SAUNAS! I would/could rig up something that I could sit in and be sheltered and do something beneficial for my thyroid as well as for clearing out toxins! Do you agree? Do you have any other suggestions? Also, Tom, while I have your attention, I am eating eggshells as you approved. I wonder if soaking the eggshells in vinegar would help get the minerals out of the eggshells and into me in a slightly easier way. Right now I am eating them with my avocado pit antioxidant, psyllium hulls and iodone concoction. You don’t need to soak the eggshells in vinegar. 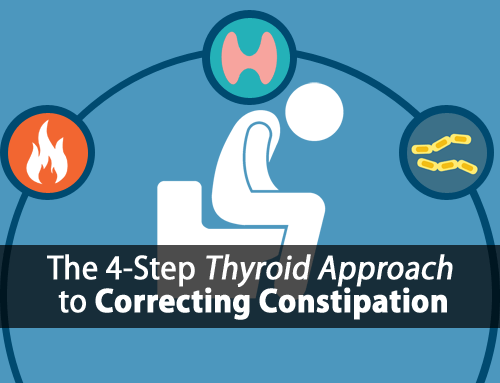 They dissolve in your stomach acid, which can have a more therapeutic effect due to the release of carbon dioxide. the 250 watts lamps which are red coated, are they also good or we need only the clear incandescents? Hi Sult, the clear bulbs are what I recommend. So just sit 2-3 ft away from the light for 5-10 minutes a day? Sunglasses? Yes or no? Just got mine hooked up and received without incident from AMazon and I usually never am able to figuure out how to put things together! Thanks! How long will it take before I start to feel it “working”? Hi Tom, I have all your wonderful and professional products and recommendations. Am still figuring out what I need the most. Am very excited about the light, I feel is going to help a lot. Am still waiting to talk to you about all the issues I have. God bless. Even though you say we are not using the light to get off of thyroid medication, if one sees their temps and pulse go up after using the NIR light consistently, wouldn’t that be a good time to see if the dosage could be reduced, or who knows, maybe eliminated (I have read that in some forums)?